Price and availability are subject to change based on lease terms and do not include $20 per month garage/carport fee. Choose from one, two, or three bedroom floor plans ranging from 695 to 1,269 square feet at Alpine Meadows Apartments. Select layouts feature fireplaces, wood-style flooring, and vaulted ceilings. Embrace your cozy spot in the Wasatch Mountains and host a dinner party. Don’t worry, you’ll have more than enough room. Your new home extends onto your own private patio or balcony. It’s the perfect setting for drinks and an alfresco meal with friends. You’ll love experimenting with new recipes in your gourmet kitchen. Meal prep – and post-meal cleanup – will be a breeze with your dishwasher, electric stove, and frost-free refrigerator. And getting laundry done is simple with your in-home washer and dryer, which come standard in every apartment. Walk-in closets and available garages provide even more in the way of convenience. 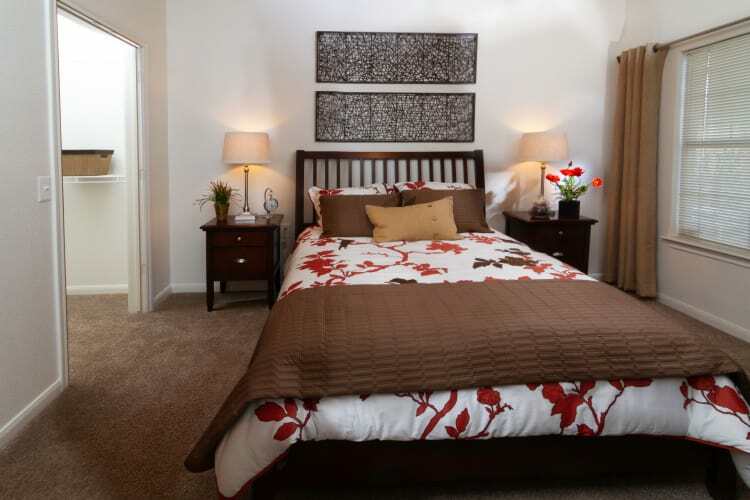 Choose from our one, two, and three bedroom floor plans to find the perfect layout for you. Like what you see? Call our friendly leasing team today to set up your personal tour of Alpine Meadows Apartments in Sandy, UT.